However the biggest reason by far why I think meal planning is important is that it allows the whole family to eat better, healthier and more nutritious meals. So how does meal planning achieve this? With meals planned and groceries in the fridge you are less tempted to get a takeaway or go to a fast food restaurant as a quick fix when you are running late. It is also easier to stay away from the pre-packaged food in the supermarkets which often contains too much salt, sugar and other chemicals which are harmful to our health. In their book Rich Food Poor Food Mira and Jason Calton claim that 80% of pre-packaged food in America has been banned by other countries because of the harmful chemicals. You can make sure each meal includes all the major food groups like protein, carbohydrates both starches and vegetables and fats and to include them in the right proportions. According to the USDA roughly a quarter of your plate should be dedicated to protein, a quarter to grains, a quarter to vegetables and quarter to fruits. There should also be some dairy in each meal. It is easier to have a more varied diet and to try new things. When planning a week of meals you are very unlikely to put the same meal down twice. However if you do not have a meal plan it is really easy to stick to the fast and tested not necessarily the most nutritious meal every night because you have no time to think about what to cook and to go out and buy what you need. It is easier to track calories and control portion sizes meaning you are less likely to overeat foods which are unhealthy or high in calories which in turn makes it easier to control weight. In addition, if you have a good meal plan you are less likely to eat unhealthy snacks between meals and stick to 3 meals per day. You can cover and eat broader spectrum of fruit, vegetables which will give you better protection against common diseases. Variety of food not only fruit and vegetables is important as it ensures your body has all the essential nutrients. You can buy good quality ingredients whether organic or locally grown at reasonable prices rather than running into a closest shop which happens to be quite expensive and where you may pick up in particular fruit and vegetables which are not as nutritious. You can easily cater for allergies, individual likes and dislikes, medical conditions, picky eaters and different objectives whether it is to put on or lose weight. If you have kids you can make sure that your picky eater gets the vegetables he or she refuses to eat by adding and hiding them in other foods. So if you are convinced about the benefits of meal planning then check out cooksmarts.com. You can make your own meal selections either from the latest list of recipes or from the archives and they will even e-mail you a shopping list so that you can buy the groceries for the meals you would like to make. How cool is that? If you want to know more check out a tour of the meal planning service narrated by Jess. 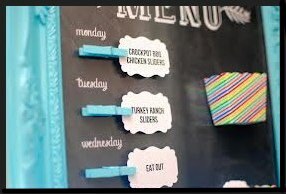 As far as I know the cooksmarts website doesn’t yet offer a calendar functionality where you can plan your meals one or two weeks or a month in advance and to print this out for everyone in the family to see what meals you are cooking on what evenings or if you are going out. I would love to have this option and you never know cooksmarts may be working on it right now. 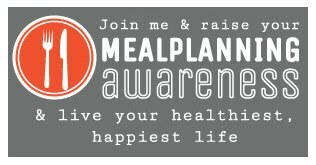 For Cooksmarts September is their meal planning awareness month. The objective is to get 10,000 more families cooking at least 4 more meals at home resulting in extra 40,000 meals cooked. So take a pledge with me and make extra 4 meals at home. This is not a lot – it equates to cooking 1 extra meal per week and there are so many delicious recipes to chose from that this will be a piece of cake. So give it a try and you can even get different family members and kids involved! Silvia! Thanks for this awesome post. There are definitely so many benefits to meal planning – thx for sharing yours. Also love this part: ” . . . with 2 little boys constantly asking: “what’s for breakfast”, “what’s for lunch”, “what snack do we have today”, “what’s for dinner” I couldn’t live without my meal plan now.” I can only imagine! Silvia, it´s a great post, I like it much and think it can help many people to realise these facts. The easier the things are, the less we recognise them. I´m planning mostly everything in my life :o), just not my meals :o( what´s a big mistake and makes me feel with no energy especially on neverending events. I´m trying to implement this into my planning schedule now :o), believe it will work well :o). Keep fingers crossed to your project. My regard to all of you.